Blue is my favourite colour, bar none. Has been forever - regardless of its association with depression. Especially pale blue, or what's known as azure. 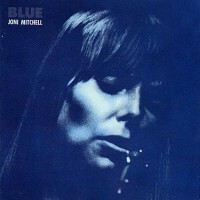 My all-time favourite albums are Joni Mitchell's Blue and Miles Davis's Kind of Blue, right up there with Van Morrison's Astral Weeks. 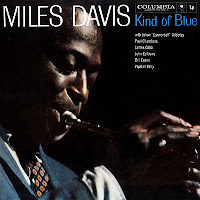 But there's been nothing blue, in the down-mood sense, about this Easter. Two new, beautiful blue portable typewriters arrived the day before the Good Friday holiday. 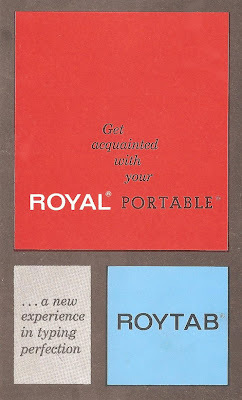 One of them is a Dutch-made Royal Roytab in what is called eggshell blue - how appropriate for Easter! Robin egg blue, also called eggshell blue, is so called because it approximates to the shade of the eggs laid by the American Robin. Robin egg blue was first used as a a colour name in 1873. 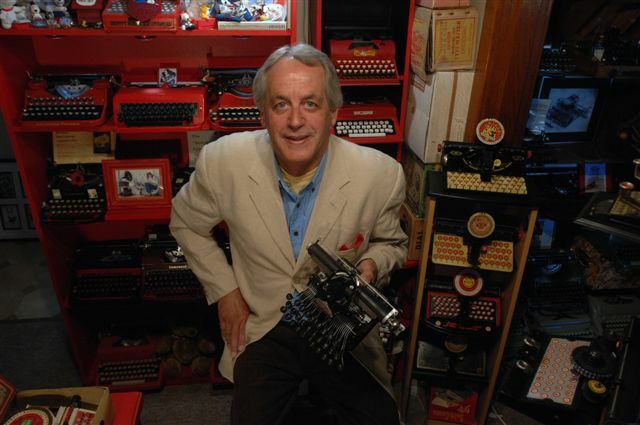 The other, above, was a Sears Tudor, which belongs to the Smith-Corona "Corsair" line, made in West Bromwich, England. Made in Italy, and a not-so-great typer! Great-looking typewriters. 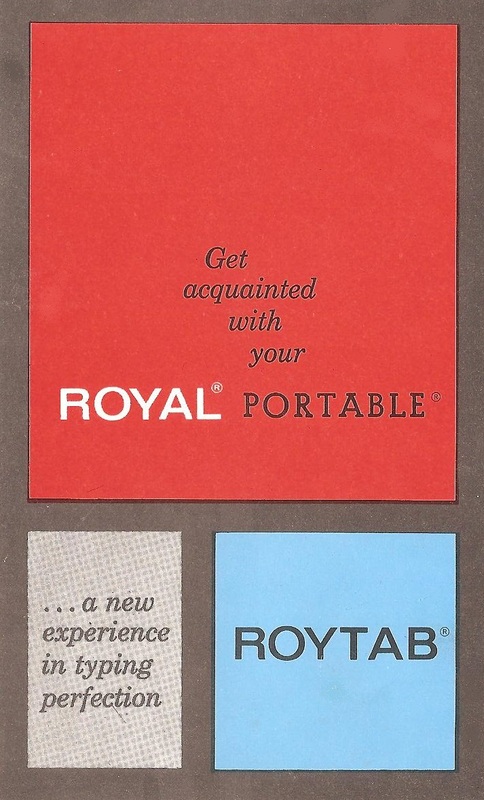 The Roytab and Tudor make a nice space-age couple. Robin's-egg blue was introduced in 1873? Why didn't they paint the Sholes & Glidden this color? Nice to see you in a happy Easter mood. 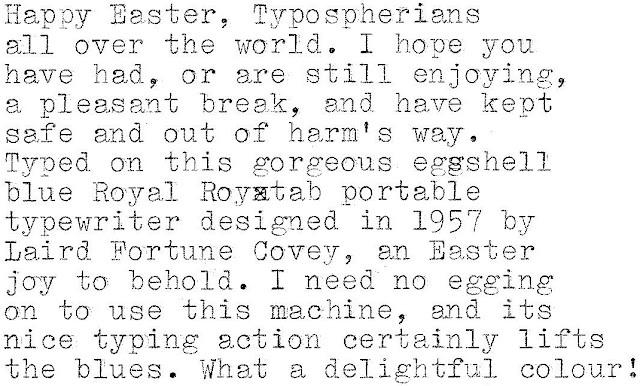 I like your Easter typewriters. They all look very nice. The blue Royal isn't royal blue? all are nice, I wish you are here in Malaysia so that we can go and visit you and see your collections. That Remington Premier is absolutely elegant. I also like your Everest K2 C, mostly because of the rounded shape. 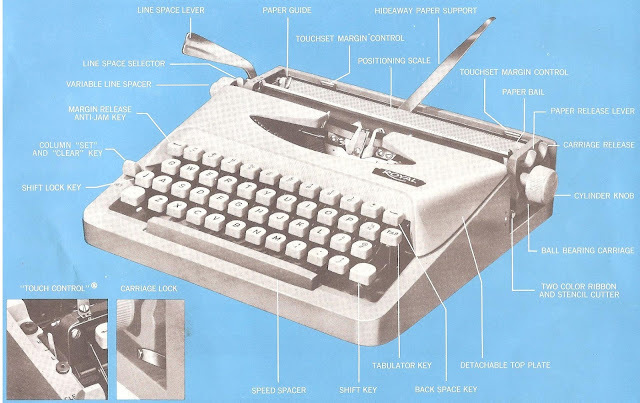 And my all-time favorite: your Correcting Selectric III (if I'm right about the exact model) is a wonderful machine. Actually, that was the typewriter which woke up my interest in typewriters (I heard about them last year, when IBM turned 100).